For over 30 years, Sharenet has been providing SA traders and investors JSE market data and research. Naturally, over this time the website has evolved somewhat to the point that many new features are overlooked or missed by users. Quite often my research team, analysts or traders on our dealing desk request features important for them to fulfil their tasks and after adding them we do a poor job communicating this to clients. This bi-weekly series aims to rectify this and will focus on these unique "hidden gems" inside our website that can make you a far more effective market participant. We focus on those powerful features that we can see not a lot of users are making use of. This has to be one of the most under-rated but unique features on Sharenet. FTSE/JSE indices are free-float weighted indices of JSE shares, constructed by the Financial Times Stock Exchange (FTSE) equity indices division. The FTSE, or the FTSE Group, is a company, similar to Standard & Poor’s that specializes in index calculation. But this page is accessed a lot. It’s not the hidden Gem! 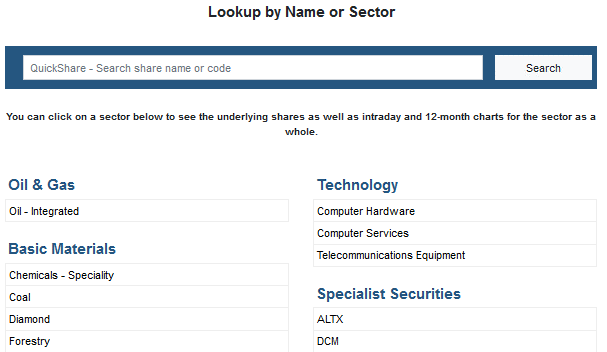 The hidden Gem is that people don’t know that you can click on most indices in this list to see the underlying shares. This is where things get really cool. We show the 1-min intraday price of the index on the top left and the 12-month chart to the right of it. But more importantly, you can sort the table of components by any heading! 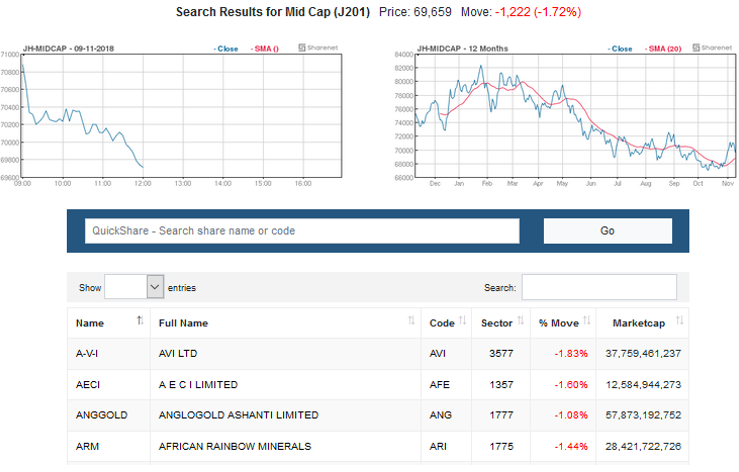 You can see the shares that dominate the index (by market-cap) or instantly view Top-movers for the day. 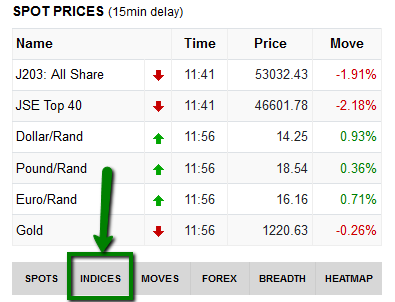 Using these %Move table-heading sorts you can pick out the major movers for any JSE Index! But wait, there’s more! Click on any part of a share name and you will be taken to our comprehensive Quickshare page for the share. There’s a heap of hidden Gems in that page, but we will cover that another day. We’re still not done! Click on the sector number the share belongs to. For example, for OCEANA GROUP, click on 3573 and we get to see all of OCEANA’s peers and how they are all comparing to each other and to the JSE sector they belong to! Again, everything you could do on the Index page you can do in the Sectors page! 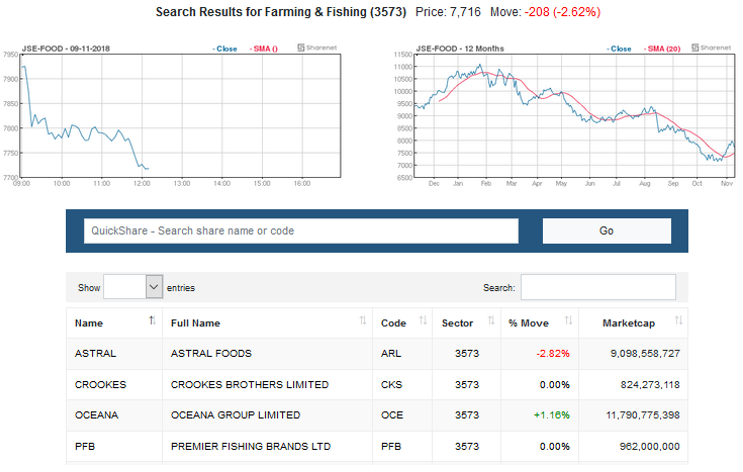 So, we could use the sort function on the %Move table-heading to see the major movers in the Farming and Fishing Sector! So basically, you can look for major movers in over 100 FTSE indices and over 75 JSE sectors! Now that was a whole bunch of Hidden Gems!